Blending a mix of contemporary fashion with traditional elements, this simple yet sleek sectional is a warm and inviting way to update your living space with transitional style! The spacious design showcases stylish T-cushion seating that is upholstered in linen-like fabric for a comfy yet durable feel. 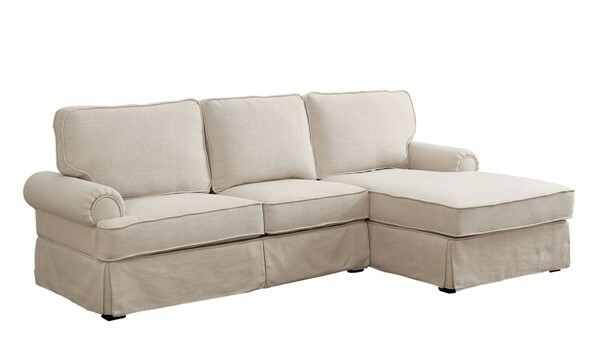 Giving it a touch of character with its rolled arms, this sofa set has "cozy comfort" written all over it!